While it is not uncommon for a foreigner to confuse South and North Korea, it appears that a number of foreign media outlets have also been dumbfounded by the complicated nature of the countries occupying the peninsula. The Korea Culture and Information Service announced Wednesday that it did an extensive study on news articles on Korea by foreign-based media published between April 2 and May 10 and found 312 errors in 253 stories. The review was conducted in response to the exponential increase in Korea-related coverage around the time of April’s inter-Korea summit. Among the most commonly-found errors were related to inter-Korea relations, such as defining Panmunjeom and Joint Security Area as a separate place or saying that the Military Demarcation Line and the 38th parallel north are the same. The 38th parallel north, a circle of latitude 38 degrees north of the equator, marked the boundary between the US and Soviet occupied zones in Korea after Japan’s colonial rule of the peninsula ended on Aug.15, 1945. Military Demarcation Line is a border established after the 1950-53 Korean War and while very similar to the 38th parallel, it marks a different territorial divide between South and the North. Specifically, the South’s border pushed upward on the eastern side and the North claimed more land in the west. The capital city of Seoul edged a little closer to North Korea. The authorities also found that Google Korea had registered Panmunjeom as being located inside the North Korean city of Kaesong. The confusion derives from the fact that the South and North Koreas do not constitutionally recognize each other as a sovereign state. Thus Seoul government states that it is part of Paju in Gyeonggi Province while Pyongyang claims it to be part of Kaesong. 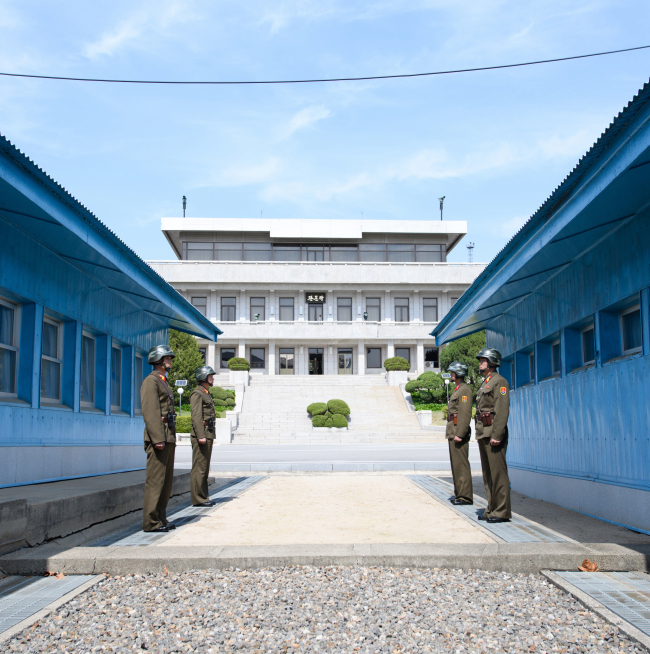 Neither party actually has an administrative control over the village previously known as “Neolmun,” and is a neutral ground for the hostile countries, thus the name Joint Security Area. It cannot be said that Panmunjeom is located in Paju or Kaesong. The KOCIS said that it has worked with Google Korea to correct this error. Other errors included stating that the Koreas never reached an agreement in the 2000 and 2007 summit, getting the names of then-presidents wrong, or even switching the flags of the two Koreas, misspelling the locations and facilities. The KOCIS has been operating a website (www.factsaboutkorea.go.kr) through which errors in foreign-published materials about Korea can be reported. It is operated in Korean, English, Spanish, Chinese, Vietnamese, Japanese, German, French, Russian and Arabic. As of now, 4,300 Korea-related errors in materials published by foreign or international authorities and media have been found. The state-run body plans to finish the correction of Korea-related errors in 75 websites of foreign countries and international organizations -- the process which was started in the second half of last year -- by the end of this year.